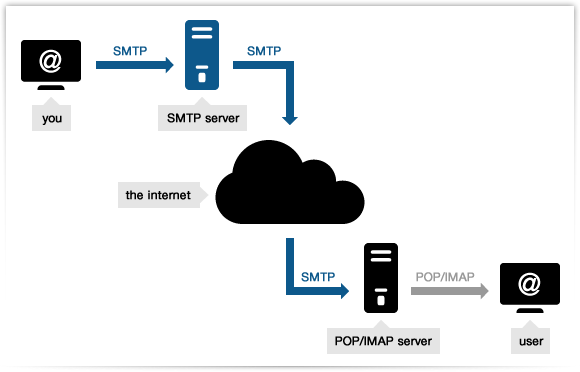 First of all, an SMTP server is the machine that delivers the emails you send with a mail client. And any free email provider comes with an associated free SMTP server which takes care right of its delivery process: Gmail, for instance, uses gmail.smtp.com. Now the main problem with a common free SMTP provider is that it cannot guarantee a proper deliverability of bulk emails – like newsletters – because it doesn’t use monitored IPs. That is, you can end up sending your emails from a blacklisted IP or from an IP shared with a spammer – with dreadful consequences on your email delivery rate. (Also, free SMTPs come with restrictions about the number of messages or recipients that you can handle per day). That’s why turboSMTP provides a professional server, also in a completely free version: matter of fact, you can get immediately 6.000 free SMTP relays per month lifetime (and in case upgrade according to your needs).